WiFi is one of the most important parts in Computers. Yet its the most frustrating when its not getting found from Laptops and Phones. Here are the best ways to boost your WiFi network. Lets gets started on How to Increase the Range of WiFi Network. These are the proven and simplest methods to boost the WiFi signal strength. WiFi routers may look ugly but hiding the WiFi adapter behind walls really blocks the signal and degrades the signal quality. Keep the adapter in open place mainly where you usually spend most of your time in the house. Ensure that the router is free from all the obstacles, walls. Most of the WiFi pains are because of poor placement of the WiFi Router. It might happen that the signals from your neighbor's WiFi are interfering with your WiFi signals. This also can be a reason for bad signal quality. WiFi routers usually operates on number of different channels. So you need to pick up the channel which is less interference with the other signals. 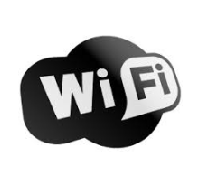 You should use WiFi Stumbler utility to choose the best signal. Not only routers from neighbor will cause the interference. The basic appliances in house such as Microwave, Cordless Phones also can interfere with the signals. Better way is to use double band WiFi routers. Keep the router far away from these appliances to modulate the signal. If you have an old beer can or a coc can then you can use it to boost the signal up. Just cut the can from the middle and place it around the antina covering one side of the router. Keep other side open which will be facing to your computer or laptop. This really optimizes the speed or range issues. The reason behind doing this is Router is omni-directional and thats fine if you keep it in center. But what if you keep at some corner of the house. So better to utilize those signals by diverting those to only required direction and hence boosted signal quality. Another way to improve on the WiFi signals is to hack the router and change the frequency settings. Install DD-WRT Firmware for this. This utility has lot of security features. Main feature it has is Boosting Transmitting Power. But use this with caution this tool can damage your router too. If you have any old WiFi router, then use it as a repeater for internet signals. This will boost the internet packets and would increase the range scope. The more powerful WiFi signal, the more good speed of internet. WiFi routers need to get rebooted after regular interval to refresh the caches and memory capacitors. So keep a setting on router that it reboots once or twice a day. On every reboot you will definitely see the difference in network speed. WiFi 802.11 G version of router provide good signal strength. But if you need to increase range area or want more speed then you should opt for 802.11 N version of router. These are a bit expensive than G version but provides very good signal quality. This awesome tool identifies and detects where is the WiFi signla more stronger. Just install this utility on your laptop and walk around the house and it will tell which place the signals are better.